Dogs love belly rubs, and, apparently, so do the dogs of the sea. 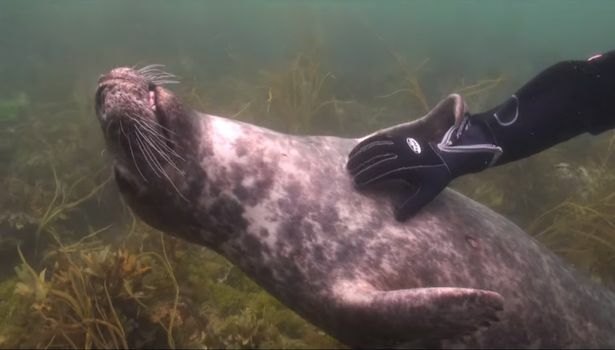 When videographer Gary Grayson took a dive just off the Isles of Scilly in the U.K., he got the chance to get up close and personal with a group of Atlantic grey seals. But he probably didn't expect that things would get this personal. 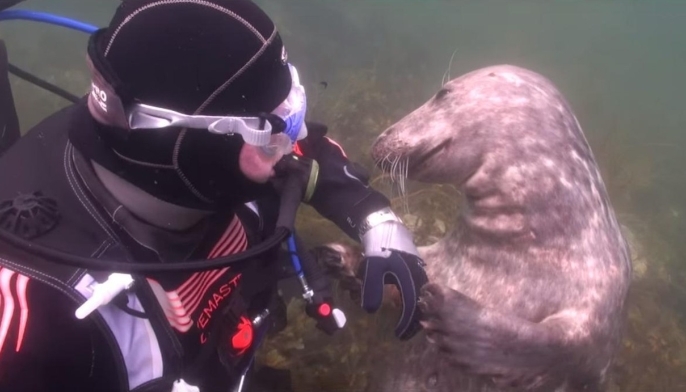 Not only did the seal reach for the human's hand, but he also seemed to be asking for something that might be hard to come by in the sea: a belly rub. NOTE: The Grey seal (Halichoerus grypus), is one of 19 species of marine mammals in the family of true seals. Together with the families of eared seals and Walruses, True seals form the group of marine mammals known as pinnipeds. This medium sized seal can engage in forays of underwater foraging covering considerable swimming distances. 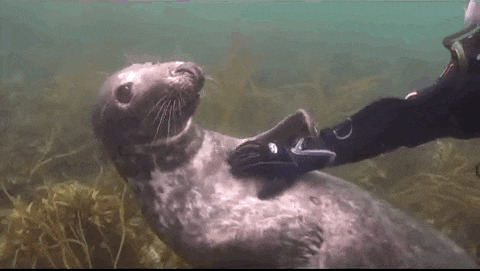 Responses to "Seal Asks Diver For Belly Rub And Responds Just Like A Puppy"